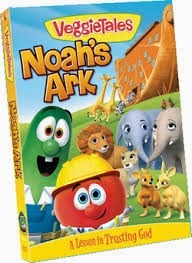 Congrats, Maureen Adamcik, you won the VeggieTales Noah's Ark dvd and plush toys! Please email me with your mailing address by Wednesday at 1pm and I'll ship them out to you asap! Thank you to everyone who entered the giveaway. If I don't hear back from Maureen in time I'll select another winner.